Burgundy is a dark red or purple or a dark red-ish purple tending towards brown. It takes its name from color of Burgundy wine. The burgundy nail designs can give out the elegant and chic sense for their dark shades. They can be suited with clothes and dresses of different styles for an important affair. You can also combine them with other colors to create more glamorous effects with your creativity in it. 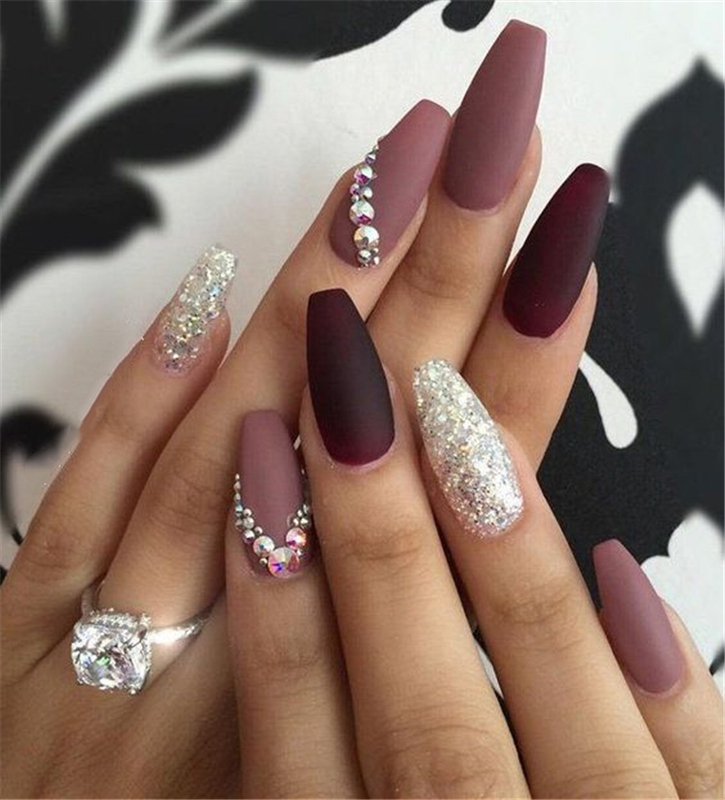 Whether it is in the classic French manicure or the trendy ombre style, I bet the burgundy nails will make you look fabulous in any occasion. The wine-hued burgundy shades can also remind people of romance sometimes. Today, let’s have a look at 21 amazing burgundy nail designs for women!